A 50-year-old man presented to the emergency room after experiencing abdominal pain and vomiting for 5 hours. On questioning, he said he had constipation but had never had surgery. Clinical examination revealed distention, constipation and severe abdominal tenderness. 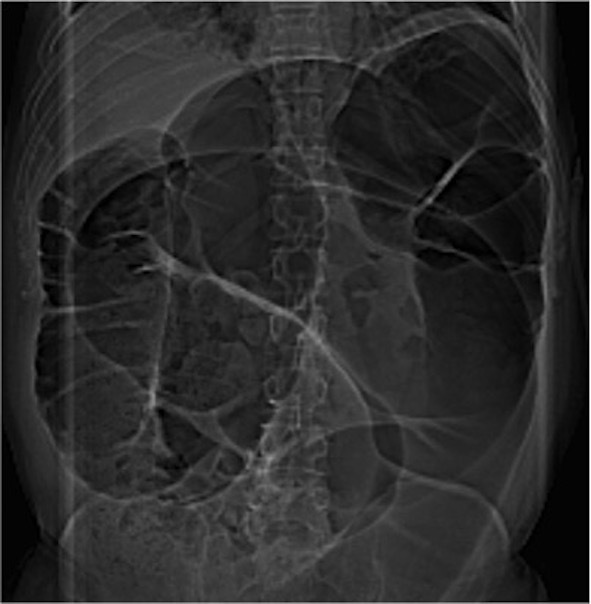 An AP supine radiograph showed large bowel dilatation. Contrast-enhanced CT was performed to investigate further.